After his hard-fought victory in strange conditions at the Gran Premio Motul de la Republica Argentina, Mattia Pasini (Italtrans Racing Team) tops the Moto2™ standings after holding off the challenge from young guns Xavi Vierge (Dynavolt Intact GP) and Miguel Oliveira (Red Bull KTM Ajo) to take his fourth intermediate class victory. 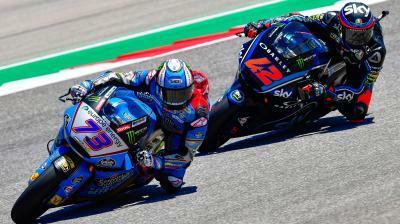 The Circuit of the Americas now awaits – a track the veteran crashed out at last year – so will he be able to keep the hard chargers behind him for a second consecutive race? Challenging the Italian all the way to the line in Argentina was Vierge. 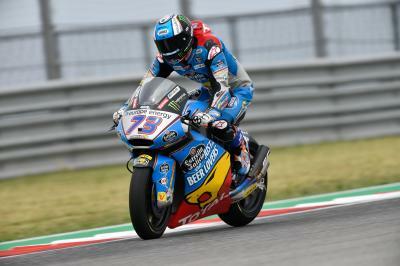 Converting his first pole position to a career best equaling second, the Spaniard looked impressive all weekend – can he get his first ever Moto2™ win? Just behind him in third place at Termas was Oliveira, as he continues to prove he’s in with a shot at the title with the KTM machine this season – he sits nine points adrift from Pasini in the Championship, so he’ll be fired up to close the gap. It’s far from a five-horse race for the win, though. Sam Lowes (Swiss Innovative Investors) won here in 2015 to claim his maiden Moto2™ win, then in 2016, he came across the line second – so it’s a track the Brit seemingly enjoys. A great venue, then, for him to claw back some Championship points after a DNF and a P13 so far this year. Brad Binder (Red Bull KTM Ajo) crashed out of the Argentina GP too, but there’s no doubt the South African has the pace to compete with the frontrunners this year. 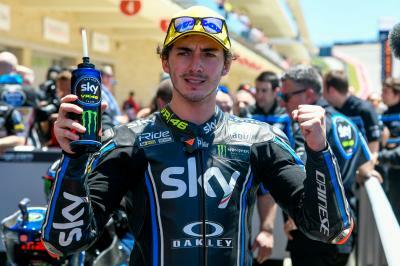 However, this will be his first time riding a Moto2™ machine at COTA, after missing last season’s round through injury. 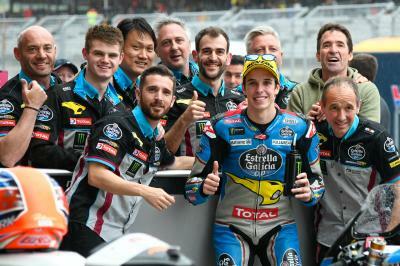 And Joan Mir (EG 0,0 Marc VDS) could be another top contender, having been the top rookie so far after two points scoring finishes, including seventh last time out. But last year’s runaway Moto3™ winner here Romano Fenati (Marinelli Snipers Team) will look to build on his first two races of the season on board his Kalex machine as he looks to challenge Mir for the ´Rookie of the Year´ crown. And let’s not forget we have an American gunning for glory at his home race in the intermediate class this year, as Joe Roberts (NTS RW Racing GP) takes to the COTA track in front of his home fans. In the wet, Roberts brilliantly qualified tenth on the grid in Argentina on an ever-improving NTS machine that’s new to the Moto2™ class. 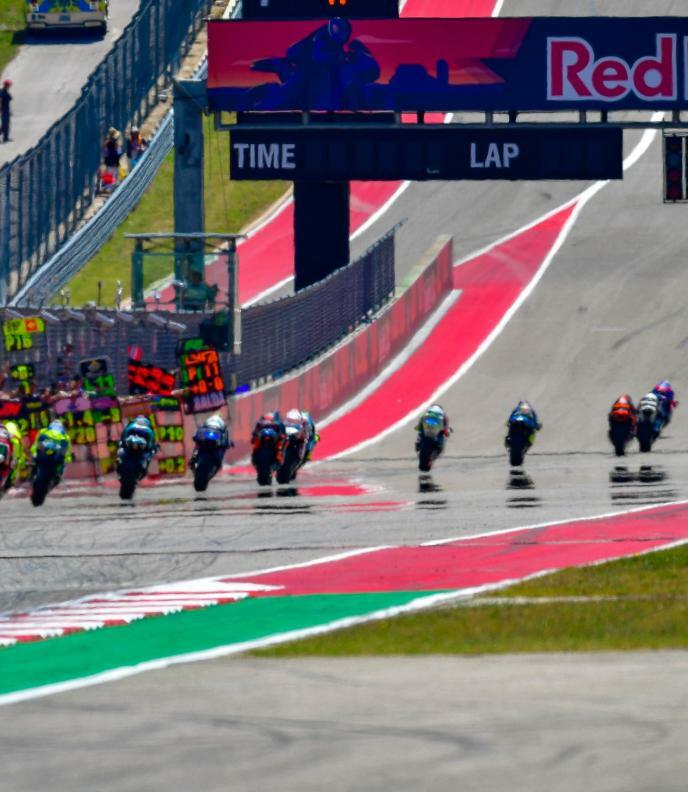 The 2015 MotoAmerica 600 Superstock Champion was at COTA with MotoGP™ legend Kevin Schwantz in March, so you can bet the 20-year-old will have taken some tips from the former World Champion. Last year’s podium finishers have all moved up to the MotoGP™ class, so it’s time to put three new names on the trophies this time around. Tune in on April 20th at 10:55 (GMT -5) for the first Moto2™ Free Practice session, with the race getting underway at 12:20 (GMT -5) on April 22nd.